As scary as it might sound, real estate property ownership can be threatened by a variety of factors. Just because you own a house or some land, this doesn't necessarily mean that you have full control over it or that no one else has any claim or rights to the property of the use of it. Limitations can be placed on your use or transfer of the property. And it can be taken away from you by the government or even a homeowners association if you don't follow certain rules and pay your dues and taxes. But you can avoid problems by understanding what threatens your ownership and your control. What Are Encumbrances on Real Estate? An encumbrance is a claim or other issue that burdens or restrains your full ownership rights. It can be a repair person's lien due to a bill you haven't paid or the result of an unpaid tax. It might be some other claim of ownership or an interest in ownership. For example, a divorcing spouse who isn't on the deed might claim an ownership percentage based on being married and state laws regarding marital property. You might be aware of an encumbrance on your property, and it's just not a big issue for you. But if you decide to sell, potential buyers will find the encumbrance when they do a title search, and this could block a sale. The person or entity who has the encumbrance can exercise the right to use it against you at any time. If an encumbrance exists against a property you're thinking of purchasing, it should be resolved prior to purchase. Otherwise, you could be buying a big problem. An easement isn't a right to ownership but rather the right of one party to use someone else's land. Most modern subdivisions have some very well-defined easements for utilities. You can't enjoy that electricity or sewer unless there's a way to get the service to you and to remove the waste you create. There will always be easements for utilities, normally a certain number of feet into a property along one or more property lines. There are some more interesting easements out there, too, and you should watch for them if you're buying a property. There was once an easement for a certain person, identified by name, to cross a property at will to access something on an adjacent property. This might not seem like a problem, and it certainly would no longer be an issue after the named person died, but it's an example of the kind of loss of privacy you might encounter. Easements can be granted at any time, and they can also be terminated under the right circumstances. Liens are definitely a concern. Anyone who sues you and wins a judgment against you can use that judgment to create a lien against your property legally. It can even happen if you owe a certain amount of past-due child support, and it can certainly happen if you owe unpaid property taxes or homeowners association fees. 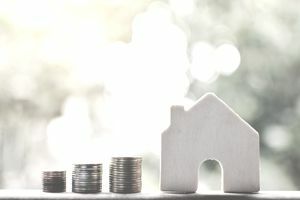 You're unable to sell the property when it has a lien against it without first satisfying the lien in advance or at settlement from the sale proceeds. Whether you're buying, selling, or simply plan to own for a while, it pays to be aware of these issues. If you understand the limitations and threats to property ownership, you'll be an informed buyer and owner and a lot less can go wrong.